Historic strength and an innovative approach meet in the NC State Department of Chemical and Biomolecular Engineering. At NC State, chemical and biomolecular engineering students learn by doing. Working with world-class faculty and a massive network of industry partners, they confront global challenges in the classroom, the lab and the real world. 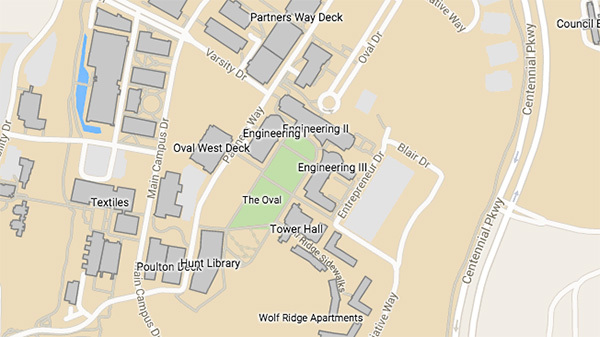 Chemical engineering has been central to the university’s mission since its founding. The first classes in the field met in 1899, and the first graduates earned their degrees in 1925. Today, we bring that historic commitment and a forward-facing approach to bear on modern problems. U.S. News and World Report ranks us among the best for undergraduate chemical and biomolecular engineering. Our faculty includes world-leading researchers and educators. Our internationally renowned faculty is the foundation for our nationally ranked department. Our faculty features five of NC State’s 23 National Academies members, as well as researchers who’ve earned national honors and led international professional organizations. Like the field of chemical engineering itself, our department’s work transcends disciplinary lines. 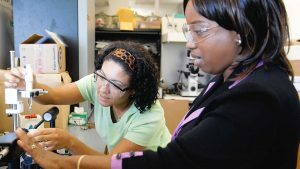 Our students and faculty work with colleagues across the academic spectrum in fields such as biotechnology, polymers, nanotechnology, energy and environmentally responsive processes, and biomanufacturing. Our students learn by doing in cutting-edge labs and facilities. Our students work hand-in-hand with industry and government partners to get things done, from sponsored research that advances our understanding of the world to senior design projects that tackle real-life problems. When they graduate, our students are ready for the next step: more than 90 percent of them go straight to work or graduate school. It all happens on Centennial Campus, the nation’s leading higher-ed research park and home to one of the most advanced research libraries in the world, the Hunt Library. 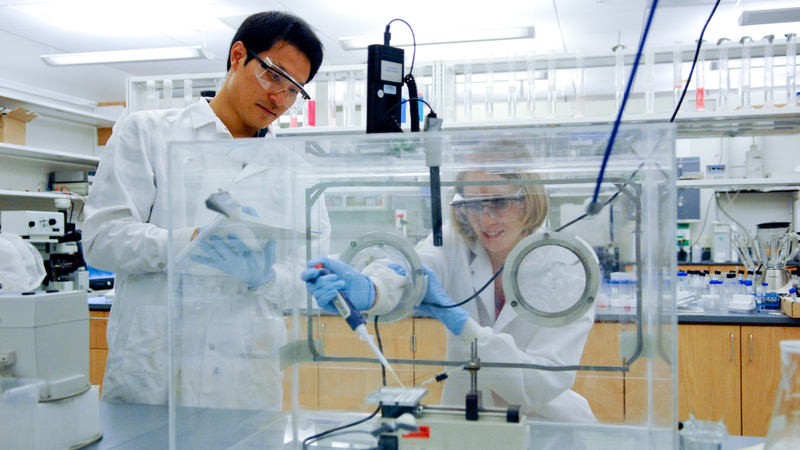 We’re shaping the next generation of chemical and biomolecular engineers. Our grad students work alongside top faculty and industry partners.